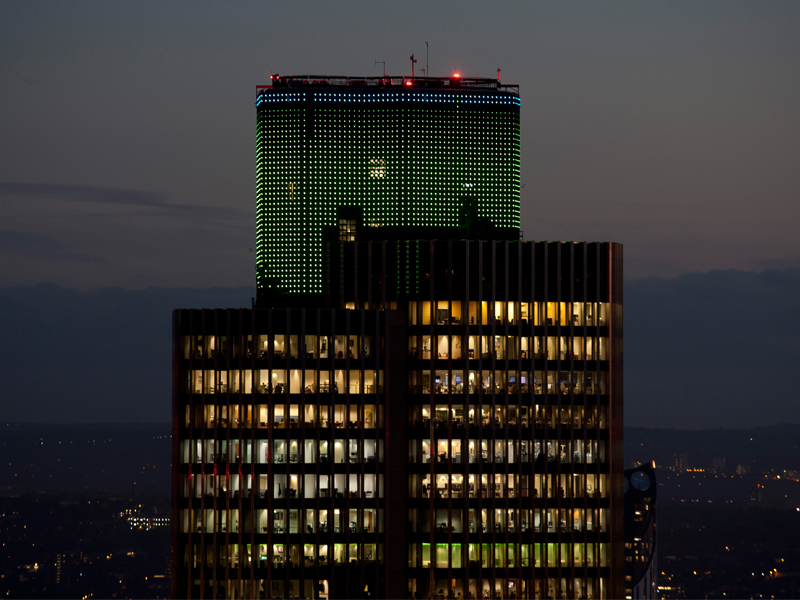 Tower 42 - iNGLEBY TRICE. Champagne bar on level 42 – Michelin star restaurant on level 24 – conferencing/meeting room/private dining facilities – Club lounge on podium level – café on ground floor – concierge service – gym and swimming pool – parking – cycle storage – reprographics – dry cleaner – beautician/barber/hair stylist – massage. Choose the Lease – Any term “outside the Act” from one year up. Choose the Size – Floors are divided into three leaves of 3,000 sq ft. Choose the View – Views of your choice in every direction. Choose the Fit Out – Cat A, or various fit outs in situ available. The landlord will adjust the fit out to suit your requirement. SERVICE CHARGE: Estimated at £15.59 psf pa plus £2.49 psf pa Estate charge. PPM charge £2.35 psf pa.